Multiple uses can be had for this property. Great possibility of turning into COMMERCIAL ZONING which would be worth more than is currently listed. Adjacent property in area is commercial. Or...get ready to build your dream home or hold it for future sale prospects (more $$)...You have found it! Seller MAY consider financing! Your builder or ours! We make it EZ! 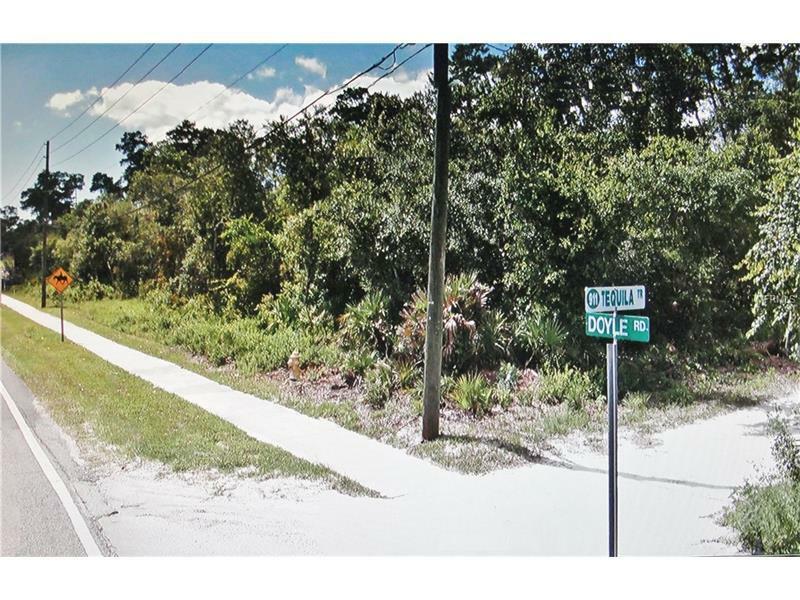 This large 1.73 AC parcel is on NW corner of Doyle Rd. & Tequila Trl.! In area of Great Lake Elementary School, Skating Rink, Churches, everything you need with access to all major arteries! Zoned for single family...garage apartments may be allowed - Or as mentioned... turn this into a cash cow by changing the zoning to commercial! YOWZA KA-JING!! !